JEFFERSON CITY, Mo. — At least $185,000 in television ads will begin appearing this week in support of Gov. Eric Greitens, who is facing a felony computer tampering charge and multiple investigations. In a year where he doesn’t appear on the ballot, though the entire state House is up for re-election along with half of the state Senate and a U.S. Senate seat, the ads are set to appear as the special session is getting underway. 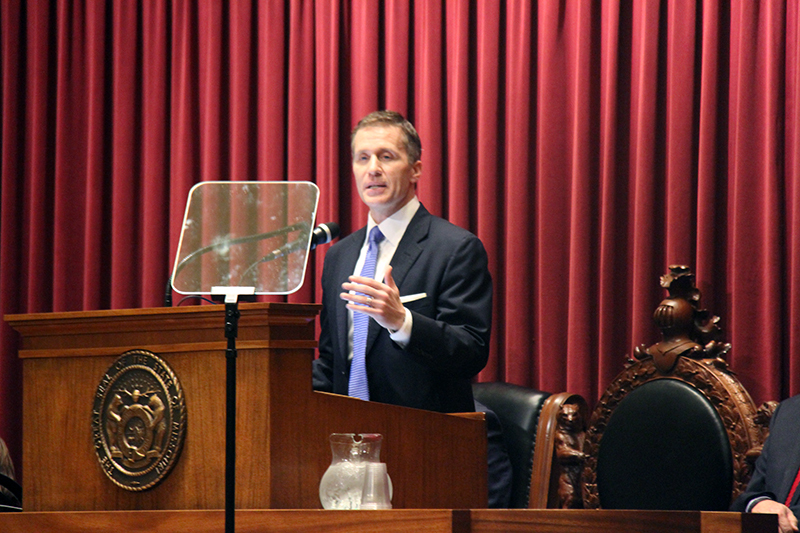 The special session — the first ever called by the General Assembly — was called to consider potential disciplinary against Greitens. Greitens for Missouri, the embattled governor’s campaign, purchased $129,000 worth of airtime in the St. Louis region spread across four TV stations through June 4, according to records on the Federal Communications Commission’s website. More than $24,000 of airtime from Kansas City’s Fox 4 station for 43 commercials in Kansas City through June 4 along with nearly $32,000 worth of airtime from KOAM in the Joplin region. Within 30 seconds, the ad seeks to discredit the allegations against him by referencing the dismissed invasion of privacy charge — which could be re-filed with a special prosecutor, attacking the St. Louis Circuit Court Attorney Kim Gardner as a “liberal,” “George Soros” funded prosecutor, and mentions a payment from Scott Faughn — publisher of The Missouri Times — to Al Watkins the attorney of the ex-husband of Greitens’ ex-mistress. “Court documents prove the fake news paid thousands for allegations against Greitens, a liberal St. Louis prosecutor funded by George Soros pressed charges and Democrat leadership orchestrated the false attacks,” the ad states. Greitens team has worked to connect the allegations to him ending of the Low Income Housing Tax Credits and that this is the establishment wanting their “scam” to continue. The LIHTC connection has not been proven and was not re-authorized by the legislature. The suggestion that Democrats were responsible for the allegations becoming public has also yet to be proven.